Very few things affect the reliability and efficiency of a heating system more than its maintenance history. Proper maintenance can reduce heating costs, improve comfort and extend the life of your heating equipment. Most systems require two service visits a year, and, ideally, they should be scheduled just before the beginning of the heating season, and just after it ends. At Service Plus Heating, Cooling & Plumbing, we can help you keep your heating system in the best condition possible with regular maintenance and tune-ups. We offer maintenance services for furnaces, boilers, heat pumps, ductless systems, and more. 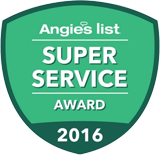 Our friendly, certified technicians serve homeowners throughout the McCordsville area, from Carroll Road to 600 West and beyond. To learn more about our maintenance services for heating systems, contact Service Plus today at 317-434-2627! Reduced energy usage – A heating system that is well-maintained, clean, and lubricated properly will be able to do its job easier, reducing energy consumption and helping the environment. Lower heating costs – With reduced energy usage comes significantly lower utility costs, while still maintaining a warm, comfortable home. Fewer repairs – With proper care and frequent system inspections, many problems can be prevented, or spotted early, before they have a chance to do further system damage. Longer service life – A system that is operating properly will usually be subjected to less wear and tear over the years, increasing its life expectancy. Improved comfort – A clean system with the proper airflow can provide better overall comfort, with fewer hot and cold spots, better humidity control, and improved indoor air quality. At Service Plus, we can provide regular maintenance for your heating system, according to the recommendations of the manufacturer. This will help to keep your system running properly and protect its warranty. Contact us today to learn more about the benefits of routine heating system maintenance. At Service Plus, we can handle all the maintenance needs of your heating system, and we also offer affordable, reliable repair services, in the event that we find problem during the system inspection. Whether you live close to the Geist Reservoir, or near US 36, you can rely on our team at Service Plus for comprehensive, cost-effective heating system maintenance anywhere in the McCordsville area.